With more than 500 wildlife sanctuaries, 18 bio-reserves, and 120+ national parks in its periphery, the wildlife in India is one of the largest and unique in the world. In fact, India hosts three of the world’s 35 biodiversity hotspots, ie, the Western Ghats, the Eastern Himalayas and, Indo-Burma. Volunteering India has been hosting students and travelers on their gap year to India from more than a decade now, and have seen the enthusiasm they have for the wildlife in India. 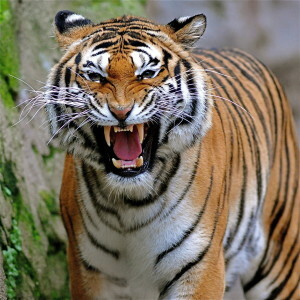 India is the home to around 70% of the entire tiger population in the world. Not only does this justifies the fact that it is the national animal of India, but also provides a higher probability for visitors to witness this exotic beast. 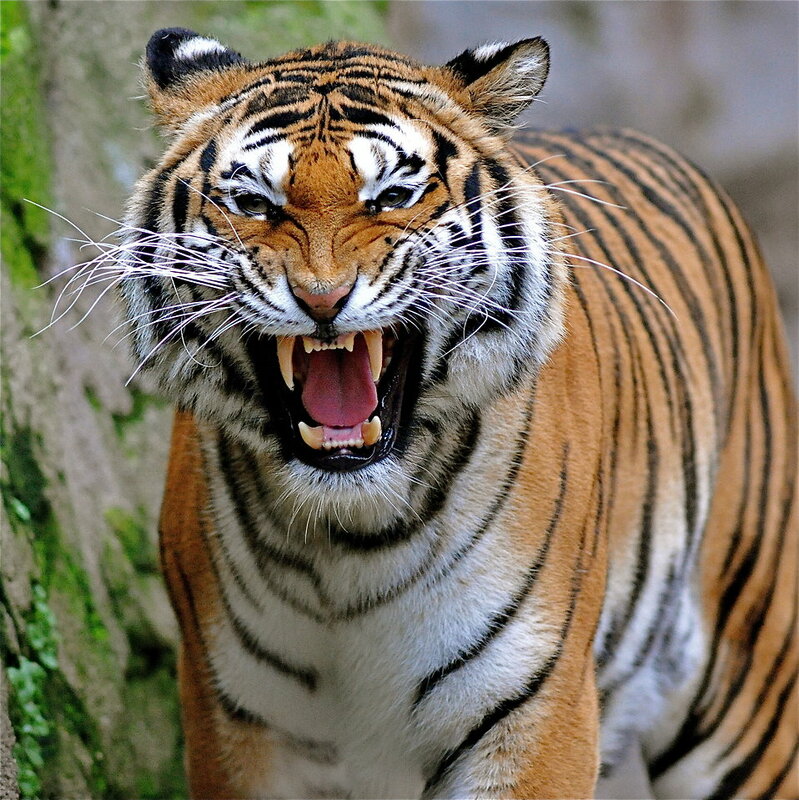 The Royal Bengal Tigers, as they are fondly known as, are spread across 48 tiger reserves across the country; out of which the most prominent one is the Jim Corbett National Park. Grazing the high grasslands of the Western Ghats are these ungulates endemic to the Nilgiri Hills in the Southern parts of India. 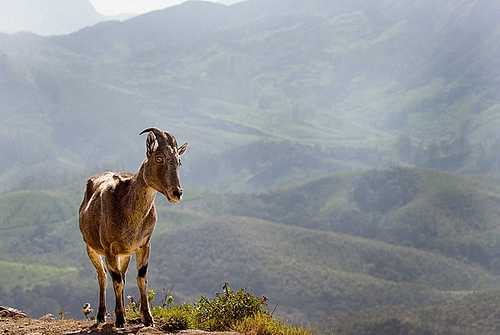 According to the latest reports, there are almost 3000 Nilgiri Tahrs left in the Indian Subcontinent. Volunteers joining the South India programs can take short trips to the western ghats where they can witness this endangered specie of India; having stocky coat with a bristly mane, curved horns, and coarse and short fur. Another wild animal from the forests of India which is endemic to the western ghats. 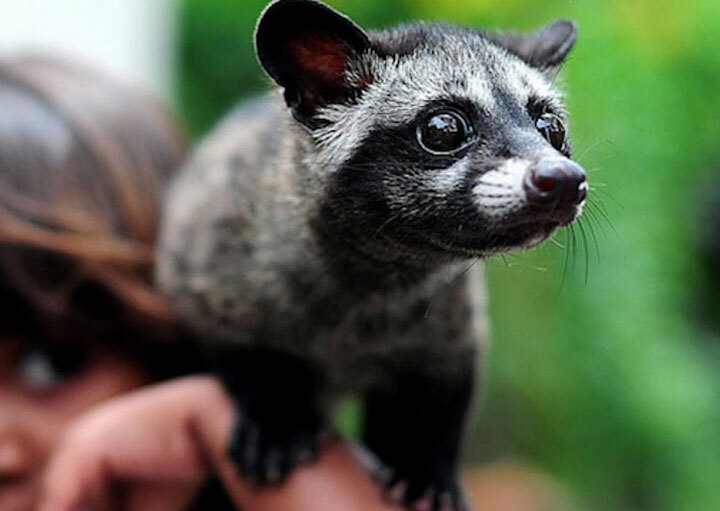 The brown palm civet has been given this name due to the color of its body hair, which although is variable, however, ranging from pale buff or light brown to dark brown. The animal is a herbivore and mainly lives on fruits. Just imagine the level of excitement to witness an animal with such an intriguing name. 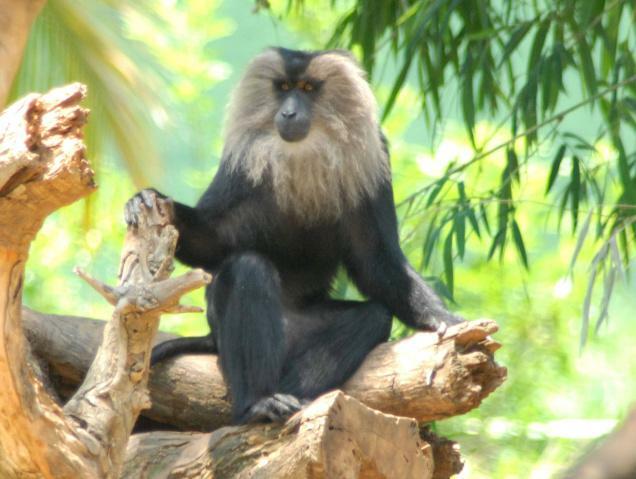 The lion tailed macaque is an old world monkey that can be found in the lesser traveled regions of the tropical rainforests in the Western Ghats; yes! Another interesting specie from the area. This endangered animal is one of the 16 Macaque species, and has a total population of around 2900 left in the country; including, Zoos and reserves. And it gets more interesting! Often deceived by the name, the Indian flying fox, fondly known as the great Indian Fruit Bat, is an animal from the bat family. 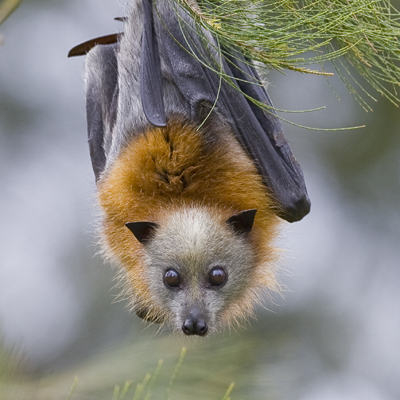 However, unlike its other family mates, the Indian Flying Fox feeds mainly on ripe fruits and nectar. These are also one of the largest bats in the world, and it’s an amazing view to see them fly with flaps wide open. Come to the North East side of India and you’ll find an array of outstanding wildlife sustaining in the meadows. 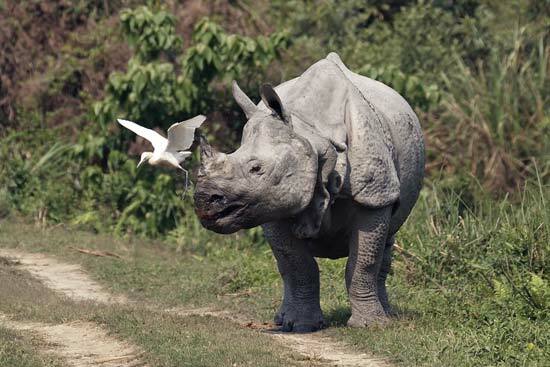 One of them is the great one horned rhino; a seriously endangered, yet a mark of glamour to the Indian wildlife. A number of conservation programs and efforts are been taken to improve the population of this magnificent animal. Also known as the Blue Bull of India, this robust wild animal is an interesting catch to the eye. That it is the largest antelope in all of Asia is just one of the interesting facts about this creature. It has a very distinctive appearance with a tough looking body like that of a horse but a face and horns of a smaller similar to a goat. 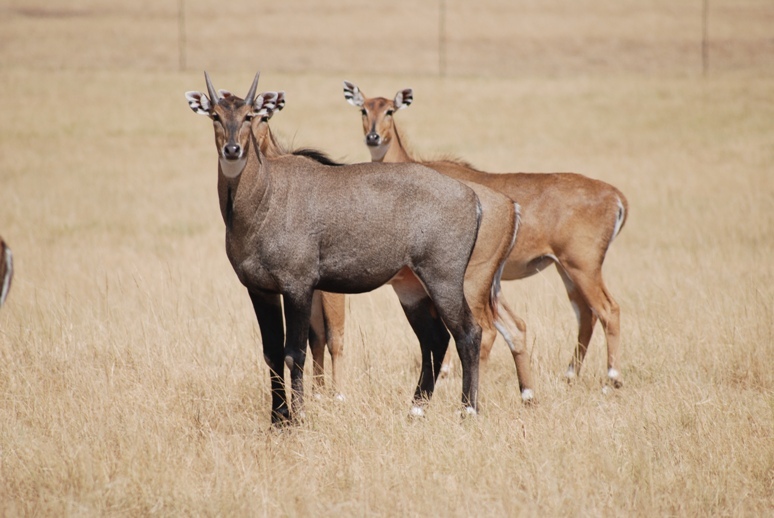 Another beautiful animal, from the family of antelopes, to watch out for. 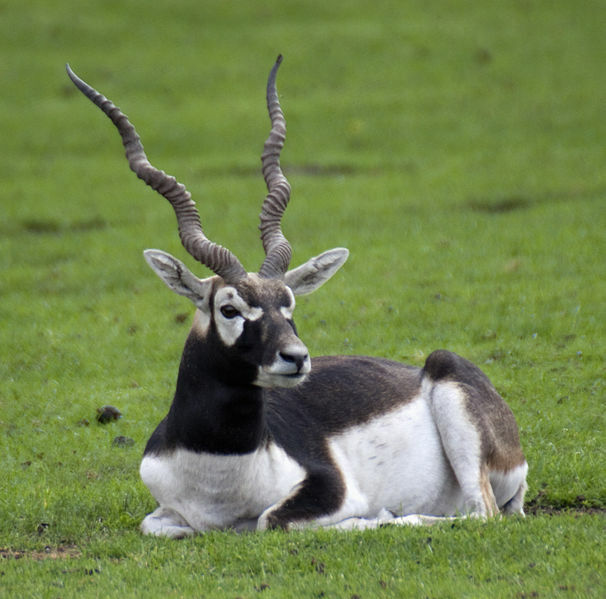 Also known as the Indian Antelope, the Black Buck can be found at most parts of the country where there is readily availability of water and heavy grasslands. This specie is, too, a special one and laws have been made to make sure of its safety and existence. 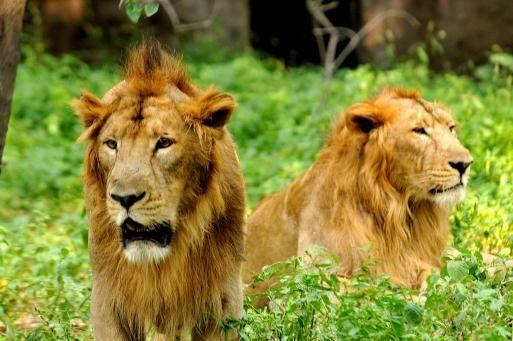 According to a report, only some 200 or so Asiatic Lions are left in the world and are only present in India. This is one of the reasons why they are also referred to as the Indian Lions. Often denoted as the King of the Jungle, these royal Indian cats can be encountered at the Gir Wildlife Sanctuary in the western state of Gujarat.